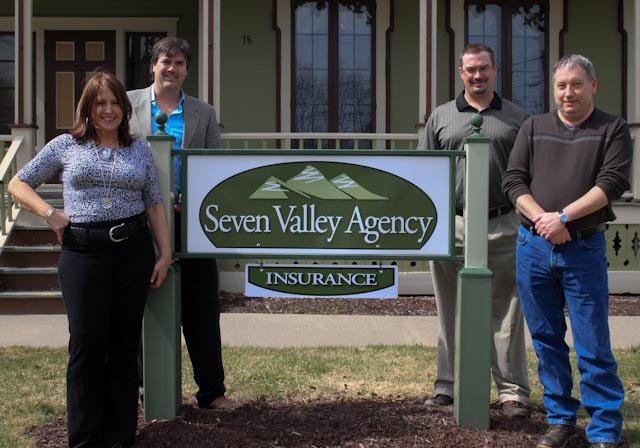 My Hometown Agency llc d/b/a Seven Valley Agency is an Independent Insurance Agency that strives to provide personalized insurance service. We help our clients effectively manage the risks they face, providing affordable insurance products specifically designed to meet their individual needs. We have developed relationships with several specifically selected carriers that provide our clients the insurance choices they expect and deserve. Through our network of carriers we are able to provide our clients with competively priced insurance products with service you can count on, fast fair claims handling, and peace of mind.